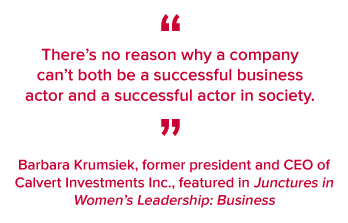 Using the case study method, Junctures in Women's Leadership explores the diverse ways that women around the world exercise leadership, often overcoming rigid cultural and societal expectations about gender. The cases provide a unique window into the ways women leaders make decisions at critical junctures in their careers.  Edited by Mary K. Trigg, chair and associate professor, Department of Women’s and Gender Studies, Rutgers University, Junctures in Women’s Leadership is a series of eight books of case studies on women’s leadership to be published by Rutgers University Press. For those who study, teach, or practice leadership, these books offer a bold and useful analysis of women's experiences. (New Brunswick, NJ: Rutgers University Press, 2018). 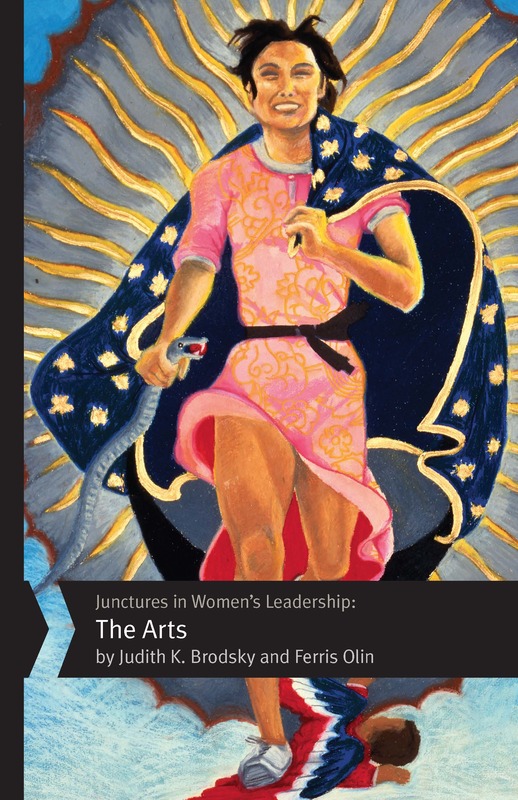 In this third volume of the series Junctures: Case Studies in Women’s Leadership, Judith K. Brodsky and Ferris Olin profile female leaders in music, theater, dance, and visual art. The diverse women included in Junctures in Women's Leadership: The Arts have made their mark by serving as executives or founders of art organizations, by working as activists to support the arts, or by challenging stereotypes about women in the arts. These case studies show how belief in the importance of the arts and a commitment to feminist principles of social justice led women leaders to transform global culture by dedicating their lives and careers to abolishing the misconception that white men are the only worthy cultural creators and by providing access to the arts for diverse audiences. Other women may have been leaders in various arts disciplines, but the authors believe the most significant ones were inspired simultaneously by their deep love for the art disciplines in which they were active participants and by their commitment to engaging in the quest for inclusivity of race, gender, and class among the creators in their fields and their audiences. These women in the arts proved that women leaders make a difference. (New Brunswick, NJ: Rutgers University Press, 2016). 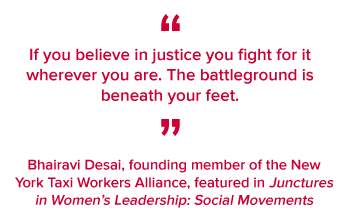 From Eleanor Roosevelt to Gloria Steinem to HIV/AIDS activist Dazon Dixon Diallo, women have assumed leadership roles in struggles for social justice. How did these remarkable women ascend to positions of influence? And once in power, what leadership strategies did they use to deal with various challenges? 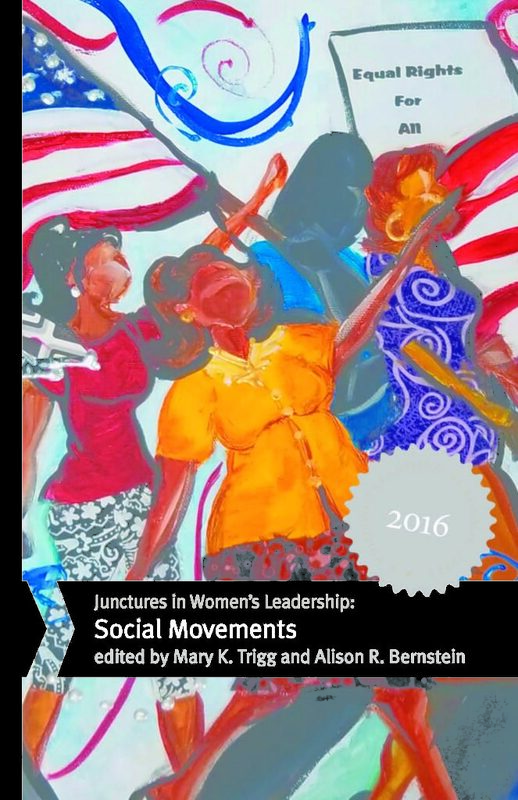 Junctures in Women’s Leadership: Social Movements explores these questions by introducing twelve women who have spearheaded a wide array of social movements that span the 1940s to the present, working for indigenous peoples’ rights, gender equality, reproductive rights, labor advocacy, environmental justice, and other causes. The women profiled here work in a variety of arenas across the globe: Planned Parenthood CEO Cecile Richards, New York City labor organizer Bhairavi Desai, women’s rights leader Charlotte Bunch, feminist poet Audre Lorde, civil rights activists Daisy Bates and Aileen Clarke Hernandez, Kenyan environmental activist Wangari Maathai, Nicaraguan revolutionary Mirna Cunningham, and South African public prosecutor Thuli Madonsela. What unites them all is the way these women made sacrifices, asked critical questions, challenged injustice, and exhibited the will to act in the face of often-harsh criticism and violence. How have women managed to break through the glass ceiling of the business world, and what management techniques do they employ once they ascend to the upper echelons of power? 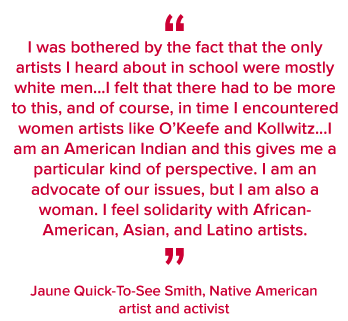 What difficult situations have these female business leaders faced, and what strategies have they used to resolve those challenges? 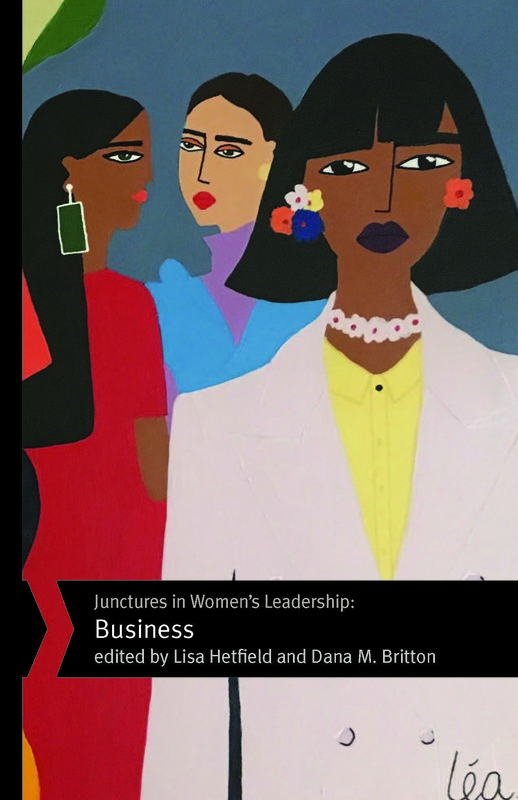 Junctures in Women’s Leadership: Business answers these questions by highlighting the professional accomplishments of twelve remarkable women and examining how they responded to critical leadership challenges. Some of the figures profiled in the book are household names, including lifestyle maven Martha Stewart, influential chef Alice Waters, and trailblazing African-American entrepreneur Madame C.J. Walker. Others have spent less time in the public eye, such as Johnson & Johnson executive JoAnn Heffernan Heisen, Verizon Senior Vice President Diane McCarthy, Wells Fargo technology leader Avid Modjtabai, Xerox CEO Ursula Burns, Spanx founder Sara Blakely, inventor Jane ni Dhulchaointigh, engineering firm President Roseline Marston, Calvert Investments President and CEO Barbara Krumsiek, and Merrill Lynch executive Subha Barry. These women, from diverse backgrounds, have played important roles in their respective corporations and many have worked to improve the climate for women in male-dominated industries. Not only does the book offer an inspiring composite portrait of women succeeding in the business world, it also provides leadership lessons that will benefit readers regardless of gender.